This High Planes accessory includes a Mirage IIIO reconnaissance nose as used by the RAAF. The nose was based on the Mirage 5 nose and included a transparent housing on the underside for oblique photography. 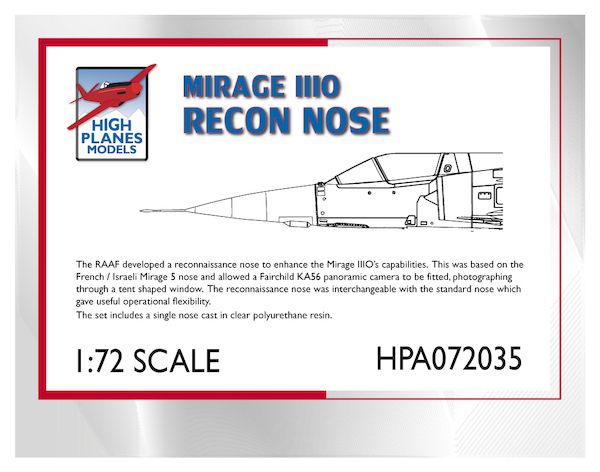 The nose is case in clear resin and fits the new High Planes Mirage III kit.